In just a short time, social media has become a ubiquitous mainstay in the lives of people. Popular platforms have rapidly grown to hundreds of millions of users, and the adoption of social media platforms has no end in sight. This social media “revolution” has changed the traditional monologue into a two-way dialogue with individuals, communities and other stakeholders. Despite the rapid growth of social media, many organizations, especially non-profits are not equipped with enough capacity to manage a successful social media campaign. Recognizing these challenges, Community World Service Asia conducted a workshop on Social Media and Advocacy titled “Social Media Mastery for Development Organizations” which was designed to introduce participants to the multi-dimensional world of social media, its various tools and available platforms, and how to develop an effective social media strategy. The focus of the workshop was on strategy, planning, and content development and at the end, group projects were conducted which incorporated all the key features of the training. The trainer, Saad Hamid is a digital innovation and design consultant who is currently serving as the CEO of DEMO which helps individuals, organizations and communities solve problems through design and digital interventions. Saad has extensive experience in the digital, design and innovation landscape and has worked with IDEO, UNICEF, UNHCR, UKaid, Invest2Innovate, TED, Google, WEF, Upwork, Mobilink and World Bank. Saad is also an Acumen fellow. 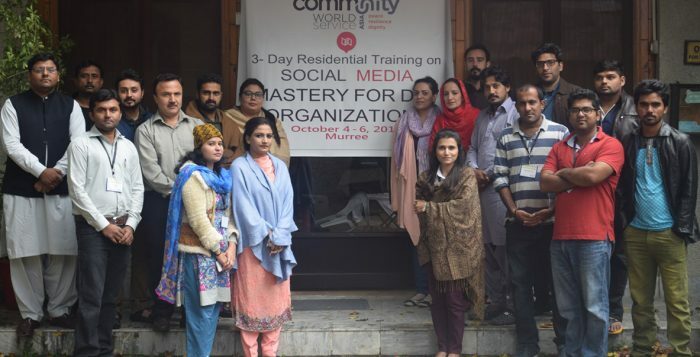 The “Social Media Mastery for Development Organizations” workshop aimed to familiarize participants on how best social media tools can be leveraged for outreach pf project and engagement for advocacy. The participants were introduced to a range of websites and social media initiatives taken by individuals, small non-profits, and large charities. This session was interspersed with a comprehensive session on how to develop a social media strategy. The components covered were; basics of branding, how to build brand awareness, how to personalize outreach on social media, adding events to social causes and embracing social media to build relationships. After this, a series of best practices for using social media were discussed. The participant base was varied, with some having a lot of experience working on social media while others had no exposure at all. It was challenging to manage expectations of such a diverse group with varying skill sets. However, mixed groups proved to be good for group exercises. Participants learned not only from the trainer but from other participants’ knowledge and experiences too. 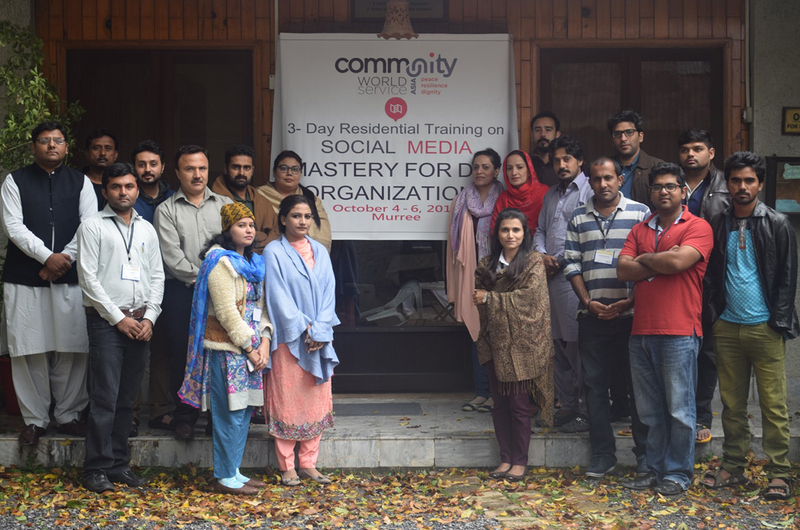 Based on the highly positive feedback received from this training, Community World Service Asia has planned a second, advanced level Social Media and Advocacy Training in May 2017.